Winston Churchill once said that success means stumbling from failure to failure with no loss of enthusiasm. This is something I agree with. For me, the best way to surpass any kind of challenge is to face it head on without being fazed by apprehensions. This principle is epitomized in the life of my father, Eugenio H. Lopez, Sr., specially in the face of powerful adversaries. 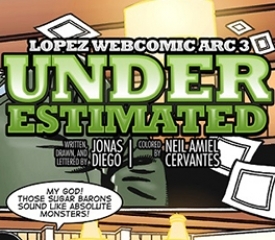 We all read about his resilience and genuine sense of "malasakit"in the last few pages of “Underestimated,” the third arc of the “Eñing at Heart” webcomic series. 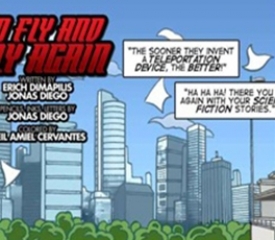 Today, it is with great pride and joy that I announce the launch of the retelling of another one of our most defining chapters. 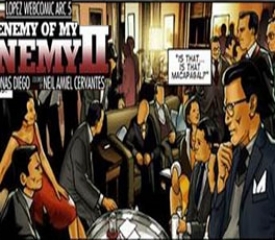 Set in the early 1960s, “Enemy of My Enemy” is here to give you an in depth look at what really happened between the important players involved in the political rivalry in the early 60s. 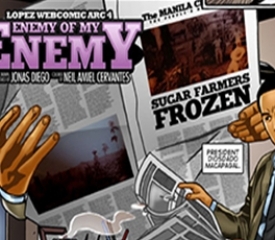 As our last arc ended with the introduction of a powerful man who served as Team Lopez’s perfect ally, “Enemy of My Enemy” covers the scenes that foreshadow that encounter. This arc underscores the value of trust and how my father wielded it as a shining weapon against the maneuvers of a formidable opponent. The same trust that earned him the power to lead a business of a different nature. The next comic series is about unity and how my father stood firm at reaching his goal: to build bridges that will connect our nation towards progress and growth. “Enemy of My Enemy” will prove that no amount of failure, threat, or dire circumstance can hinder a leader who strives to earn the trust of the people he serves.